Tesla is the name on most driver’s lips. It is a cool, small, and sleek car that any driver would want to consider. It is highly popular for several reasons but mainly because the brand is a collection of electric cars. As much as there are great things to say about Tesla, there is also bad. So, for someone who keeps hearing about Tesla, should you consider investing in one? Well, no one can make this decision for you, but having a balanced perspective can help. Here is a guide on the good and bad of Tesla to help you decide if you should buy one. Charging a Tesla is the same as charging any other electric vehicle. 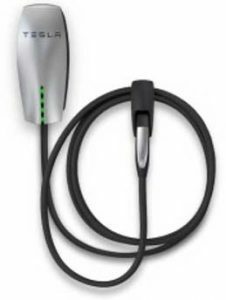 You can hire an electrical technician to install a home EV charger in a suitable part of the home. This way you can always have the car fully charged for work in the morning. If you rented the apartment you stay, this might become a problem. Tesla also has certain algorithms for its charging routes. They can be problematic to long distance drivers. Sometimes the algorithm may tell you to skip charging and this can be worrying. Tesla is a sleek car and not a fan of jagged roads and dirt paths. If you drive a lot of rough paths, then Tesla might not be the car for you. Also, this electric vehicle cannot haul bulky stuff. Heavy lifting is more suited for pickups and trailers. When you use a Tesla, you can’t force it to carry more than its capacity. It is the perfect car for longer drives on highway roads or just driving around the city. As a typical electric vehicle Tesla saves you money on maintenance. There will be no need for oil changes and other routine maintenance that cost a large budget. Electric cars are also green, which means they are helpful and not harmful to the environment. Tesla is a healthy choice. A test drive is a basic requirement when buying a car. This can be a determining factor on whether or not a Tesla is the right car for you. In order to set up a test drive, simply walk into a store or visit their website to set up an appointment. If you’re looking for an online quote to install a Tesla charger, visit this page for a free quote from The Electric Connection.